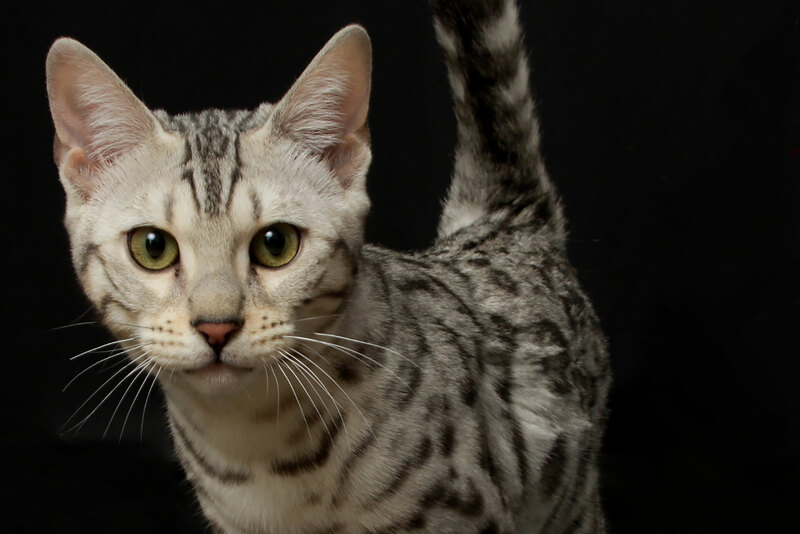 We couldn't be happier with our very first pure silver girl Niema Bengals Cleo Of Snow Tundra! Cleo is a large girl who has a very solid and muscular structure! 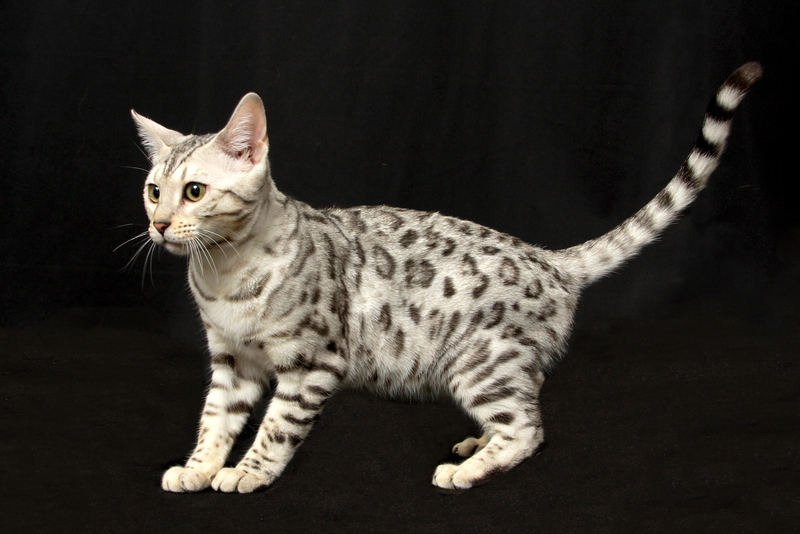 Her pattern is exceptionally striking with large ink black open rosetted spots on a very clear silver background giving an excellent contrast to her superb pattern! 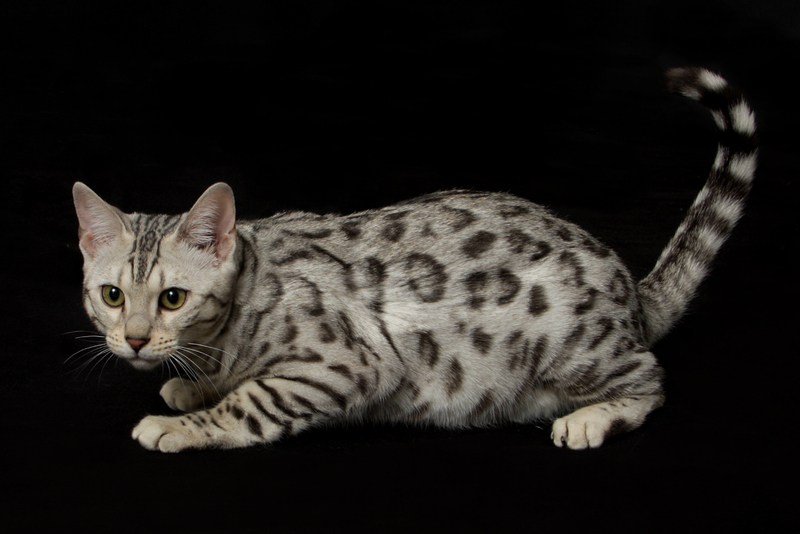 She has a very wild junglebook look like a true snow leopard that walked right out of the jungle! Plus Cleo is the sweetest and most lovable girl I have seen yet here at Snow Tundra! 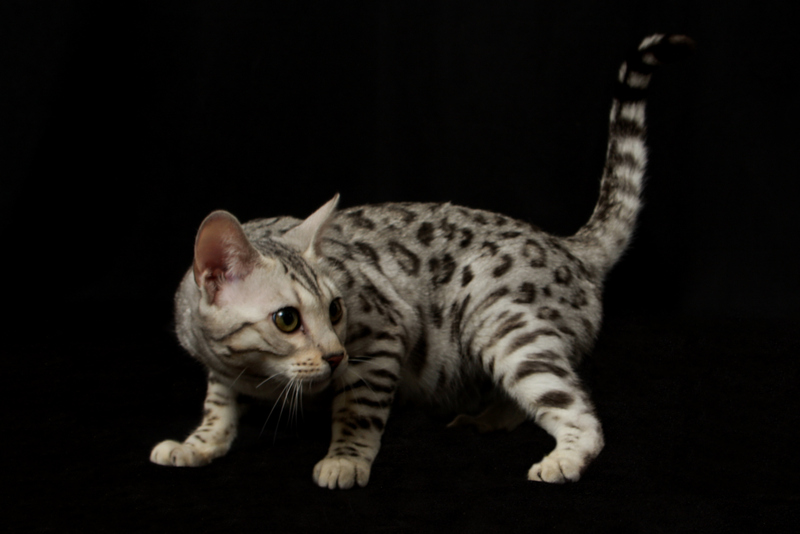 Cleo is an extremely valuable asset to our breeding program! Cleo and Crystal grew up together here and they are together almost all the time playing and loving each other! 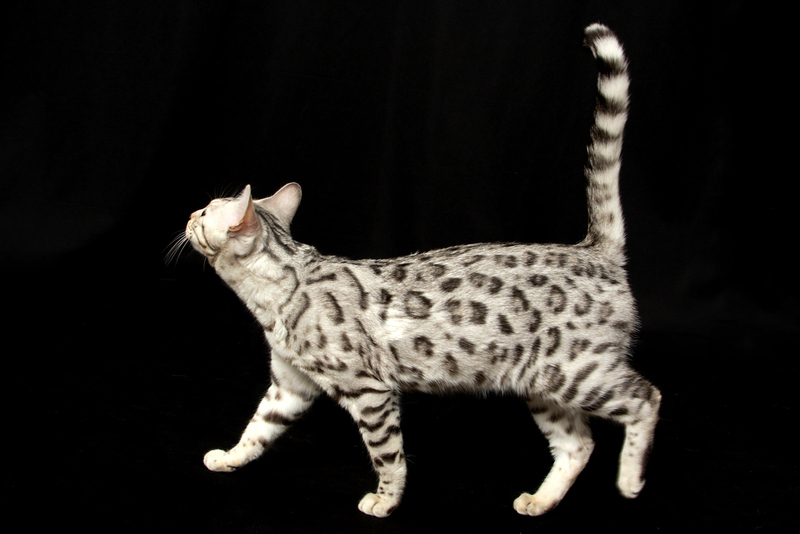 Niema Bengals Cleo Of Snow Tundra was screened normal for HCM at Ocean State Veterinary Specialists by Dr. Mark Stamoulis, Veterinary Board Certified Cardiologist on November 4th, 2016.